Heems, formerly of Das Racist, is ready to drop his debut Eat Pray Thug, an album with a title that’s similar to your mom’s favorite Julia Roberts movie. Like that film, this album is also the result of an introspective journey, but told through the lyrical styling of one of Queens, New York’s dopest emcees. 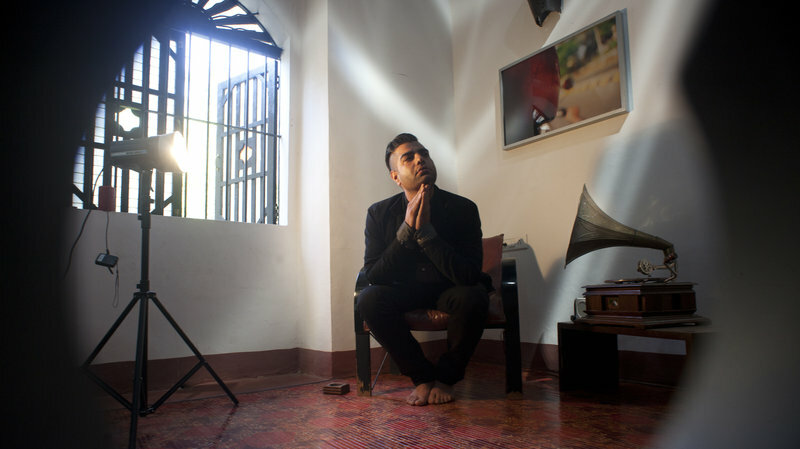 Since the amicable split of Das Racist, Heems has produced two solo mixtapes. Nehru Jackets and Wild Water Kingdom were both well received by fans and they’ve been pining for more. Now they won’t have to wait much longer to get their fix of the Flushing emcee. On Eat Pray Thug Heems exhibits a range of deliveries over production from the likes of Dev Hynes, Gordon Voidwell, and more. He will hit you with some slowed down jams, but will flip it on you with a faster flow recounting his many travels, his relationship woes, and what it’s like living in a post 9/11 world. Heems touches all bases with this one: he provides some trap elements, along with some joints that would be reserved for the turn up, but also delivers some introspective and thought provoking gems. Listen to the NPR stream here.